Amazing things you can do with SSH, including an introduction to Ansible! We use SSH to log into our servers, but it actually has a lot of neat tricks it can help us with as well! We'll cover some of them here. So, there's a few example entries you might find in the ~/.ssh/config file (you can have as many entries as you'd like). 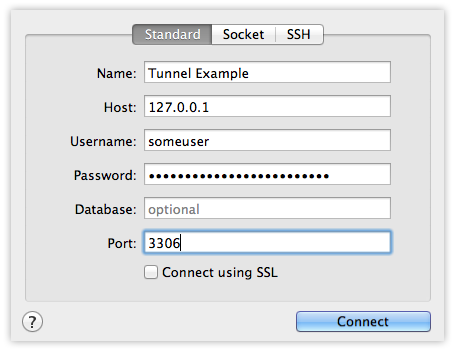 SSH can be used for tunneling, which is essentially port forwarding. There's a few ways we can do this - Local (Outbound), Remote (Inboud), and some others (Dynamic and Agent Forwarding). Local port forwarding is what you use when you need to tunnel through a server's firewall or other limitation. A common example is attempting to connect to a remote database which is either behind a firewall or is only listening to local connection. For example, MySQL only listens to localhost connections by default. You can't remotely connect to it without editing the my.cnf file and have it listen on all networks. There's also a firewall preventing you connecting to MySQL's port 3306 anyway. 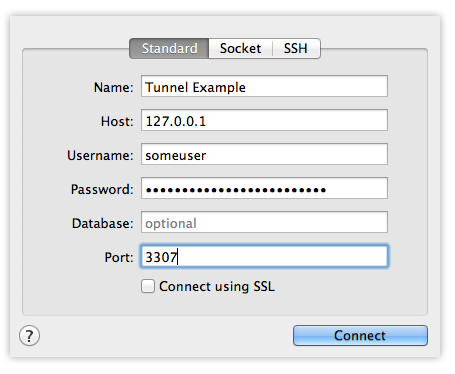 Assuming we have SSH access to the remote server, we can get around this by creating a tunnel into the server. What might that look like? localhost:3306 - Within the remote server, what address and port to forward traffic to. Since the MySQL server is on the remote server, we're tunneling to the remote server's "localhost" on port 3306, which MySQL is listening to. Remote Port Forwarding is good if you need to share your local computer with others who are outside of your network. To do this, we need a remote server all parties can reach. Something like a AWS or Digital Ocean server will do. If our remote server's IP address was 123.123.123.123, then our friends can access our website at 123.123.123.123:9000, which will forward to our local site at localhost:8001! Note: To accomplish this, your remote server's firewall must not block port 9000. You may also need to edit /etc/ssh/sshd_config and set the GatewayPorts directive to yes. (Don't forget to restart SSH after any changes to sshd_config). You can run commands remotely using SSH as well - in fact, this might be the easiest "trick" for using SSH. When you run a command using SSH, you're running the command on the remote server. However, any resulting output will be displayed in your terminal. drwxr-xr-x 8 username username   4096 Jun 30 17:49 .
drwxr-xr-x 4 root     root       4096 Apr 28  2013 .. This is actually the basis of how some server provisioning tools work. In fact, Ansible is very similar - it will run commands over SSH on groups of servers (in series and in parallel). Let's see how that works on Ubuntu really quickly. Save that file and then let's run a command on all three servers! This will run "ping" on each server. You'll get some JSON output saying if they were successful or not. -u vagrant - Login with user "vagrant", which will work if the hosts defined are other vagrant servers. Change the username as needed. $ ansible -k all -m shell -u vagrant -a "apt-get install nginx"
Here, the -a "apt-get install nginx will run the given command using the "shell" module. Here's more information on running ad-hoc commands with Ansible!